If fall is in the air, it must be homecoming season! This year's Orange Crush Homecoming and Family Weekend takes place October 23-27. Visit the Orange Crush Homecoming and Family Weekend website for full details. Homecoming provides a rare opportunity for the entire campus community to come together to celebrate Buffalo State. 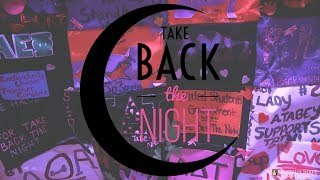 With fun-filled activities like the miniature shopping cart float, lip sync competition, a pep rally, and the exciting action of Bengals' football, homecoming offers something for everyone. Orange Crush Homecoming/Family Weekend begins Tuesday, October 23, with preliminary rounds for the traditional Homecoming King and Queen Competition as well as the lip sync contest taking place in the Campbell Student Union Game Room. Get ready to make some noise! 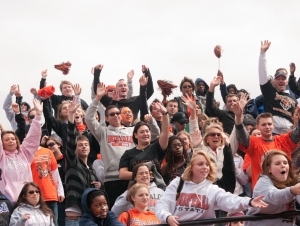 Buffalo State’s annual pep rally is a great way to show your Bengal spirit. Enjoy dance routines from Buffalo State cheerleaders, the semifinals of the banner competition and lip sync contest, a chicken BBQ for students, giveaways, and more live entertainment. Try riding a mechanical bull or show your creative side at the Build-A-Bengal booth. Make memories at the Homecoming Photo Booth. Enjoy great carnival food , carve a pumpkin, and more. This year, the Buffalo State Bengals, still celebrating their historic early-season victory against then No. 1 UW-Whitewater, take on Hartwick at noon in Coyer Field. Pre-game festivities include the annual Wegmans Shopping Cart Float Competition. Please note: Due to inclement weather, the homecoming parade has been canceled. Students, families, and alumni will then enjoy tailgate parties with live entertainment, food, and more in the Sports Arena before watching the Bengals crush Hartwick. Cost for the tailgate party is just $10 per person. The announcement of the shopping cart float competition winners and induction of the Athletics Hall of Fame Class of 2012 will also take place prior to the game. Game tickets are just $5; call (716) 878-6514 or visit the Coyer Field ticket office the day of the game. After the game, homecoming festivities will wrap up in grand fashion with USG’s Homecoming Carnival. Rides, food, and music will all be available for Buffalo State students with valid ID. Wrap up your week of Bengal Pride by watching Men’s Hockey take on Geneseo in the Ice Arena. Download complete Orange Crush Homecoming/Family Weekend schedule (PDF).